No expectant parent wants to consider the possibility of their newborn sustaining an injury during birth. Unfortunately, such injuries can occur. According to birth injury statistics for New York, seven in every 1000 newborns will sustain injuries during labor or birth. Parents often face emotional and financial struggles when this happens. They also may have many questions. There are many instances in which an injury that occurred before or during childbirth could have been prevented. As such, parents want to know if another party’s actions or negligence contributed to these unfortunate circumstances. At The Rothenberg Law Firm, our New York City birth injury lawyers thoroughly understand these concerns. For decades, we have offered parents the help and representation they need when a newborn sustains a preventable injury, making them more than just another birth injury statistic for New York. The compassion of our New York birth injury attorneys is matched only by our commitment to pursuing justice for parents forced into these situations. If your newborn experienced an injury in New York, we’ll work closely with you to ensure the responsible parties are held accountable, while remaining sensitive to the emotional difficulties you could be facing during this experience. How Can NYC Birth Injury Lawyers Help? It’s always difficult when a newborn sustains an injury. Parents may struggle to manage the financial and emotional burden of such an experience. That’s why it’s important to contact a birth injury attorney in New York. They can relieve some of the burden by offering accurate legal advice and potentially acquiring compensation. This can at least help reduce some degree of financial hardship. New York City birth injury lawyers offer much-needed support during a difficult time in any parent’s life. The term birth injury is something of a misnomer. That’s because such injuries can actually occur before or after a birth, and not merely during it. There are numerous potential causes for birth injuries. This is true even if a mother had an otherwise healthy pregnancy. Identifying these situations and determining if liability is present is one of the most important reasons to consult with a New York birth injury attorney. What types of incidents may occur before a birth that cause a birth injury? A medical professional fails to adequately plan for the child’s delivery. Medical professionals fail to identify or act on signs that a baby is experiencing distress or medical complications. A birth mother exposing a child to harmful chemicals in the workplace. Prescription drugs having an adverse effect on the unborn child. A medical professional applying excessive force during the delivery process; for example, using unnecessary tools like forceps. A medical professional providing negligent care during labor and delivery. 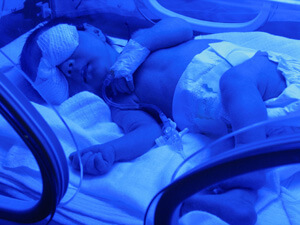 Insufficient oxygen reaching the child’s brain during labor and delivery. Attempting vaginal birth despite a child being too large to do so safely. The newborn presenting in positions other than head first during delivery, which may result in complications. What types of accidents occur during birth? If you believe you may have a valid birth injury case, get in touch with a NY birth injury attorney at The Rothenberg Law Firm LLP by calling 1-888-624-8888 or submitting an online questionnaire. The initial consultation with our birth injury lawyers in New York City is always free of charge. If we take on your case, we won’t charge any legal fees until we succeed in getting compensation for you first. Keep in mind that the statute of limitations may require you to file a lawsuit by a certain deadline. Failure to do so may result in you waiving your right to compensation. Act fast and contact a birth injury attorney in New York immediately to make sure the responsible parties are held accountable.